Kids' Book Review enjoys a fine selection of book-loving and mutually-supportive friends and colleagues - all of whom contribute to our fabulous children's book industry. Soup Blog started out as a blog showcasing the behind the scenes happenings at Alphabet Soup magazine. The magazine is now closed but the blog lives on! Soup Blog is for kids under 13 who love books and creative writing. At Soup Blog, they will find stories, poems and artwork by kids, book reviews by kids and by adults (for kids), author interviews, writing and art comps for kids, and news about book-related events. Alphabet Street is a destination for all parents and carers seeking local information on what's available and what's on for kids in your city and surrounding areas. The Book Chook Susan Stephensons, aka The Book Chook, brings tips to parents, encouraging their kids to read, write, create and learn. You'll find book reviews of wonderful children's literature, educational software reviews, explanations of how to use great online resources with your kids, and answers to letters from parents. The Book Chook is the blog of Susan Stephenson, an Australian teacher and writer, who is fascinated by technology and what it can do to motivate kids and help them learn. A shared love of books, art and children inspired Ann James and Ann Haddon to establish Books Illustrated in 1988. Together they have a unique view of the picture book industry, seen from many angles – librarian, bookseller, gallery director, writer and illustrator. 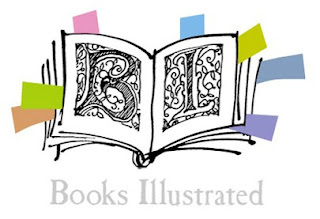 Books Illustrated is a centre celebrating Australian children’s literature, in particular picture books and their creators. It has an interesting history that has culminated in a program of exhibitions promoting the work of Australian book illustrators throughout Australia and in international venues. Books in Homes Australia was founded on the realisation that failure in adult life often stems from childhoods spent in homes without books. Children who cannot read, become adults who cannot communicate and this is unacceptable in a world that operates on the written word. 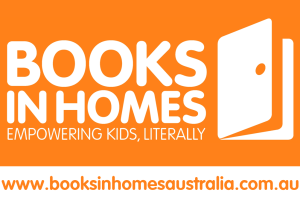 Books in Homes Australia provides books-of-choice to families and children living in remote and low socio-economic circumstances, ensuring crucial early literacy engagement and the development of reading skills needed for lifelong success. 25% of titles on offer are either written or illustrated by Indigenous creators. This Programme aims to break the education inequality found in remote and disadvantaged communities where resources are often scarce and generational poverty endemic. Boomerang Books is Australia's online bookstore, with a distinct focus on Australian books, Australian authors and Australian publishers. Boomerang Books gives readers access to a huge database of new and second-hand books from all over the world. All new books are offered at an every-day discount of 10% off the retail price with special 20% Discount Days each month. Boomerang Books is your destination for books. Established in 1945, the Children's Book Council of Australia (CBCA) is a not for profit, volunteer run, organisation which aims to engage the community with literature for young Australians. The CBCA presents annual awards to books of literary merit, for outstanding contribution to Australian children's literature. The CBCA is made up of state branches, these branches work to promote literature and literacy in their state. The branches each send a representative to the judging panel for the Book of the Year awards. In 2015, the CBCA celebrated 70 years of enjoying and promoting the best of Australian literature for children and young people. At Children’s Books Daily, you'll find information and tips on a variety of wonderful literacy topics, like fitting in daily reading with your children, guidance on finding quality children’s books, suggestions for children’s books as gifts, reading activities to do in the home, school or library, and tips on dealing with the challenges that sometimes arise when children are learning to read. The Children's Bookshop, established in 1971, is the oldest specialist children's bookshop in New South Wales. Their strength lies in the expert advice provided by a dedicated and enthusiastic staff, and their range of books which includes picture books, poetry, classics, information books and contemporary fiction. Oh, and they sell books for adults, too! Creative Kids' Tales is a comprehensive resource for Australian emerging children’s authors and illustrators. With tips, competition information, links, reviews, and a detailed publishers listing, there's everything you need for the journey to publication. Each month, the site features one of this country’s finest children’s authors along with an emerging author. Ideal for anyone keen to network with other like-minded writers. Creative Net facilitates author and illustrator participation in schools, libraries, conferences and festivals, without the cost of paying a speakers' agency a fee. Our experienced, well-known authors and illustrators cover picture books through to young adult fiction. 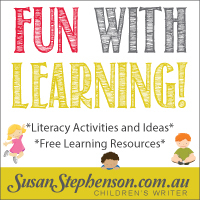 Susan Stephenson is a children's writer, blogger and reviewer who believes children engage more in their own learning when they enjoy themselves. Her twenty-five years as a teacher encouraged her to put that belief into practice – in the classroom, and at her new blog, Fun with Learning. Enjoy free PDFs and other resources for parents, librarians and teachers. Illustrators Australia was originally conceived by Faye Plamka (illustrator), who put the call out to fellow illustrators in 1989 to form a collective of creatives, establish a code of conduct whereby the members could discuss mutual problems faced by illustrators within the industry, and to have an Association that could offer support and a network to the individual. The Illustrators Association of Australia was enthusiastically launched to the illustration community. Since that time and a change in name to Illustrators Australia, we have grown and developed in many ways. But one thing we haven’t changed is that we have always been run by illustrators, for the benefit of illustrators and this continues to be of utmost importance to the Association and its members. 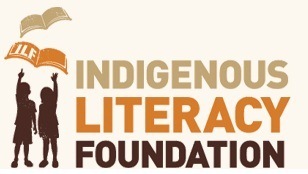 The Indigenous Literacy Foundation (ILF) was founded by Suzy Wilson and set up by members of the Australian Book Industry in 2005 with the core aim of drawing upon the skills and expertise of the Australian book industry to address literacy levels in remote Indigenous communities. The ILF aims to raise literacy levels and improve the lives and opportunities of Indigenous children living in remote and isolated regions. This is done through the delivery of books and literacy resources, publishing and visits out to remote communities. In addition, the Foundation advocates to raise community awareness of Indigenous literacy issues. My Book Corner saves parents and teachers time by selecting the very best books to inspire your children, all alongside our unique online price comparison. Add your own reviews, enter our competitions and sign up to our newsletter. We love reading, we love inspiring and we love, love spreading our bookish love. My Little Bookcase is more than just a place to shelve your children’s books. They believe that a love of reading provides a child with a wonderful and positive platform in which to develop their literacy skills, including writing and oral language. MLB hopes to model and provide parents and educators with fun, warm, friendly and positive ways to engage their children in reading. We think reading should be fun. 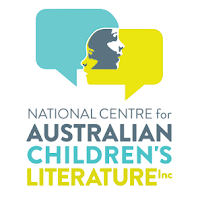 The National Centre for Australian Children's Literature (formerly Lu Rees Archives) is a comprehensive collection of books and other resources about Australian authors, illustrators, publishers and their creative works. The collection includes over 34,000 books, with some 3,800 of these in overseas translations in 58 languages, over 486 research files, and significant collections of authors', illustrators' and publishers' papers, manuscripts and artwork. The resources are publicly available, and visitors are welcome during opening hours. Pass It On is a weekly, on-line, interactive, networking newsletter for those involved with or interested in the children’s writing & illustration industry. 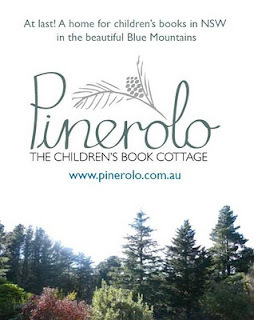 Pinerolo, the Children’s Book Cottage, is located at Blackheath in the beautiful Blue Mountains of New South Wales. Pinerolo promotes Australian picture books and their creators, educates children and adults about picture books, provides a venue for the exhibition of original artwork from picture books and brings people interested in picture books together in an inspiring environment. Reading for Australia is an initiative of the parents and friends of the 2013 Australian team to promote the Kids' Lit Quiz competition. The Reading for Australia website is a place where book lovers are encouraged to discuss and exchange stories, ideas, thoughts and information about books. The site specifically targets readers aged 10-13, but encourages book lovers of all ages to share their recommendations and ideas. Kids' Lit Quiz is an international competition for children aged 10-13 who love reading. Inspire a love of reading with ReadPlus, a collection of over 10,000 selected books and films arranged under themes for librarians, teachers and parents about books for young people aged 5 to 18. 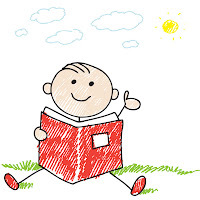 At Read To My Child, stories are read to your child in a simple and natural video format. The site is a handy option for those times when you need a few spare minutes, and offers a more bookish alternative to putting on another kids' TV show. Stories are absorbing and educational for children. Enjoy! In 2012, Australian libraries and library associations came together behind the National Year of Reading, linking together all the great things that are already happening around books, reading and literacy, and giving them an extra boost, with inspirational programs and events taking place across the country. 46% of Australians can't read newspapers, follow a recipe, make sense of timetables or understand the instructions on a medicine bottle. Read the snapshot report on the National Year of Reading here. Following on from the success of the campaign, the 15 founder partners decided to carry forward the Love2read brand into 2013, making the most of the momentum that had been created during the National Year of Reading. The Australian Reading Hour is a direct result of this initiative. Founded in 1971 by a group of Los Angeles-based children's writers, the Society of Children’s Book Writers and Illustrators is a non-profit organisation and one of the largest existing organisations for writers and illustrators. It is the only professional organization specifically for those individuals writing and illustrating for children and young adults in the fields of children’s literature, magazines, film, television, and multimedia. The SCBWI acts as a network for the exchange of knowledge between writers, illustrators, editors, publishers, agents, librarians, educators, booksellers and others involved with literature for young people. As a unified body, the SCBWI acts as a powerful force to effect important changes within the field of children's literature, promoting new copyright legislation, equitable treatment of authors and artists, and fair contract terms. The Australia East/NZ website is here, and the Western Australian website is here. 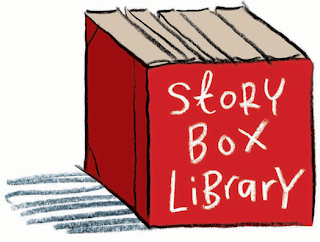 Story Box Library is an online ‘reading room’, enticing and inspiring young minds to open the doors to the wonderful world of Australian Children’s Literature and experience the special pleasure of sharing a story. Story Box Library has a commitment to our unique Australian culture and the diverse voices that bring that culture to life. By using Australian actors, authors and illustrators sharing their stories, we celebrate the power of quality storytelling and foster the creativity of young imaginations. Story Mama is an online bookstore specialising in picture books for babies, toddlers and pre-schoolers. It stocks only the best books, hand-picked by mums and loved by little kids. 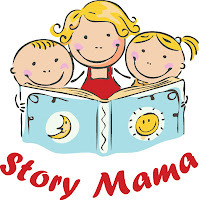 Story Mama is a home-based small business run by mumpreneur Debbie Hatswell. Debbie is mum to a 4-year-old, and reads hundreds of picture books, all in the dual pursuit of research ... and getting her little boy to sleep! 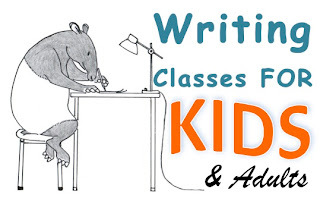 Author Dee White provides a selection of fabulous courses, classes and skills for anyone wanting to hone their writing experience. The Young Australians Best Book Awards (YABBA) were established in 1985 by a group of Victorians keen to see children engage in reading Australian books. Run by a volunteer committee our goal after more than 25 years is still the same. 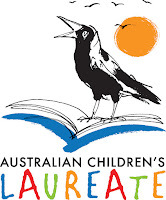 We seek to provide children a voice within the general Australian children’s book industry. The YABBA Awards encourages children to read recent Australian published books, rate them against all others and then finally reward that book they feel is best. The Challenge was founded by KBR's Founder, Tania McCartney, in 2014. This Facebook-based group is still going strong, with thousands of members and countless achievements and opportunities for its members. Click the logo above to see the Facebook group, and the blog can be seen here.